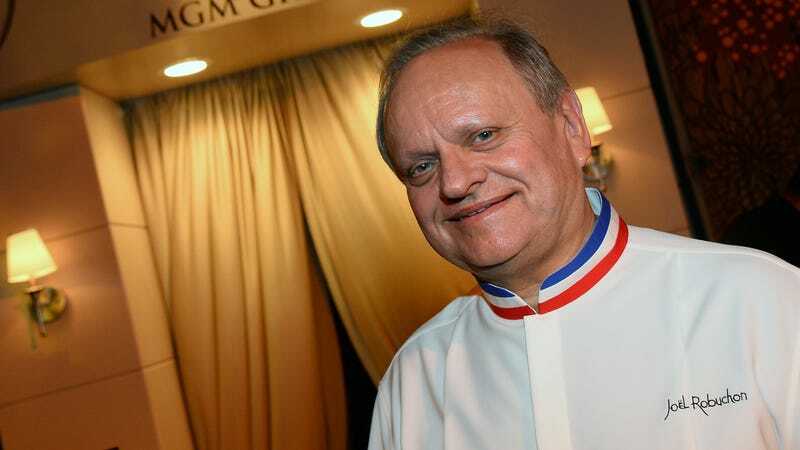 You would be forgiven if you didn’t know about French chef Joel Robuchon, who died of cancer Monday at age 73. He was not the most famous chef in the world, if we’re judging fame by household recognition. But for fine-dining chefs who aspire to Michelin-star status (the Michelin Guide being the pre-eminent restaurant recommendation book published annually), there was Joel Robuchon and then there was everyone else. Even if Joel Robuchon’s name is unfamiliar to you, do know this: His most famous dish is mashed potatoes. What Robuchon did with potatoes was both extravagant and simple: By combining potatoes with warm cream and a whole lot of chilled butter, then “scraping” the mash through a fine sieve, he created the silkiest potatoes imaginable. And therein lies Robuchon’s ethos: Use the fewest possible ingredients possible and pursue the perfect technique to create the apotheosis of a dish. Robuchon took a pedestrian spud and spun it into almost-liquid gold. Over Christmas, I was inspired to create my take on Robuchon potatoes. It combined his technique, along with a few tricks from Cook’s Illustrated. It was, in fact, the best mashed potatoes I’ve tasted. So here’s to you, monsieur Robuchon: I may have never dined in one of your three Michelin-starred restaurants, but your cooking made me feel like a king.